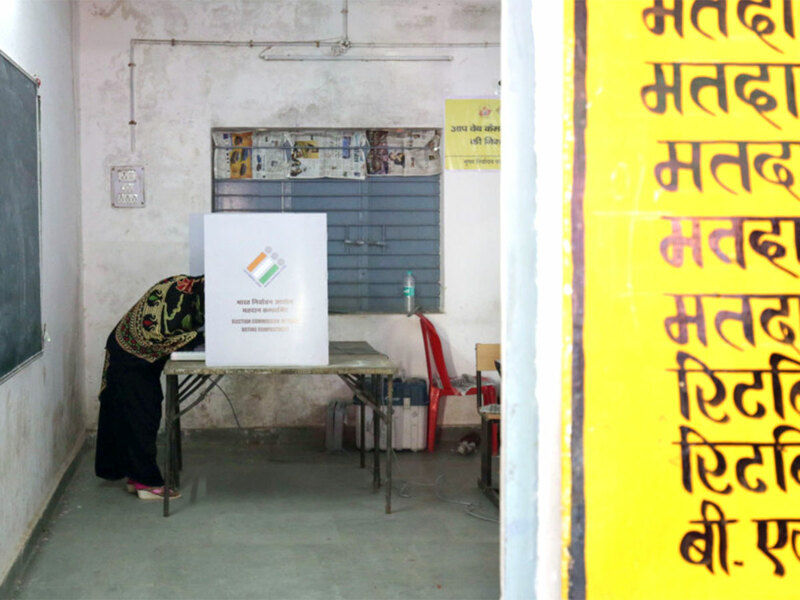 The bookies in the Indian states of Rajasthan, Chhattisgarh, and Madhya Pradesh where assembly elections were held last month believe that the ruling Bharatiya Janata Party (BJP) is likely to hold sway only in Chhattisgarh. Their bet is that the Congress party, led by Rahul Gandhi, will have the edge in Madhya Pradesh, and that in Rajasthan, whose BJP Chief Minister Vasundhara Raje does not see eye-to-eye on most matters with Prime Minister Narendra Modi, will lose. Poll predictions by pundits too favour the Congress party by and large. The official results will be out next week. No matter what the outcome of the state polls, India will see general elections held early next year, most likely in summer. In a runup to that complicated and tragicomic exercise — the touching hope that goes into it, and the damp results it yields — the Opposition came together on one stage at New Delhi last week to speak at a farmers’ rally. The Indian farmer is a species particularly prone to self-destruction. In 2014, the National Crime Records Bureau of India reported 5,650 farmer suicides. The farmer suicide rate in India is pegged at between 1.4 and 1.8 per 100,000 total population. Drought, loan payment issues and family problems contribute to the fatal urge. Although the Indian economy in its second quarter has slowed down, primarily on account of higher oil prices and a weak rupee, agricultural growth has remained steady at 3.8 per cent as in the last quarter. But, despite a promise from the Modi government to waive their loans — a perennial demand as it happens no matter who runs the government — the farmers say nothing has changed on the ground. Off and on this year, the farming community has been up in arms. Tens of thousands have marched on Mumbai and Delhi. Apart from an increase in minimum support price, unconditional loan waiver, farmers have been demanding a special session in parliament to focus on their continuing crisis. Despite the fact that the overwhelming number of parliamentarians are from the hinterlands of India where farming is the mainstay, the seeming interminability of the crisis is a bit of a mystery. And a potent political plank. The Delhi rally last week was addressed by Rahul Gandhi, and the leader of the Aam Admi Party (AAP), Arvind Kejriwal. Some 18 other party leaders, including splinter groups, were seen raising hands and rubbing shoulders together. Gandhi is on fire these days. He believes the Congress party has more than a chance at the general elections next year. Gandhi, in his address to the protesting farmers, said, ‘nobody can silence the voice of farmers and the youth.’ On what basis these two disparate elements of the political spectrum have been yoked together is not clear. Vague as the conceit is, the next general elections, on the face of it, is likely to be fought along the lines of the agrarian crisis and mobilisation of the youth. Nor is it clear that the 20 parties that came together to address the rally last week at the historic protest point, Jantar Mantar, will stay united till the general elections. A political party is in it for power. The ruling BJP will have a little to offer most. The BJP president, Amit Shah, is exceptionally good at finding and distributing crumbs. But in the unlikely event of the Opposition groups arriving at an understanding and holding out to win the elections, addressing the farmers’ issues and representing the youth will go only so far in the face of real politic. As we will soon find out, Rahul Gandhi’s problem is not about coming across as a nice person. His real problem is how to be accepted as the leader of a diverse and diabolic alliance. Veteran warhorses like Sharad Pawar (National Congress Party) and Farooq Abdullah (Jammu & Kashmir National Conference) will have their pound of flesh sooner than later. Having a go at power is one thing; holding on to it another. Not withstanding the results in Rajasthan, Madhya Pradesh, and Chhattisgarh, the chances are that the BJP will continue in power at the Centre after the general elections. Perhaps, with a reduced majority. They may even have to seek support of allies of a different political persuasion. That means Modi will have to be more accommodative of others’ opinions and tolerant to dissent, a trait he is not famous for. Even if he wins, which is likely, he will have to change his behavioural norms to complete his term till 2024. It seems reasonable to conclude then that the next general elections will be a test of adaptability. The agrarian crisis and other issues will eventually give way to the politics of personality. That goes for both Gandhi and Modi. They would be advised to practise bending backwards on a daily basis. The kind of exercise the poor Indian farmer does before he sets out to plough his uncertain furrow. C.P. Surendran is a senior journalist based in India.